Pooh Bear, Lollie Lou Lou and Bonnie are looking for a new home together. No matter what life throws at them, Bonnie (14), Pooh Bear (10) and Lollie Lou Lou (10) always stick together. Their world recently turned upside-down, but it was no fault of their own or their owner. In their senior years and with no place to call home, they arrived at our Cranbourne shelter in need of care and reassurance. “When we first met Bonnie, Pooh Bear and Lollie, they were quite worried,” said Abby, adoptions team leader at the Home. The trio relied on each other tremendously. The love and bond shared between them was so strong that one thing was for certain; there was no way we could split them up. “They’re a beautiful little family and complement each other so much,” said Abby. Bonnie, Pooh Bear and Lollie are looking for a special person with a big heart. Whoever adopts these beautiful dogs is going to be rewarded with three times the love and cuddles,” said Abby. Do you have room in your home and heart for three precious souls? 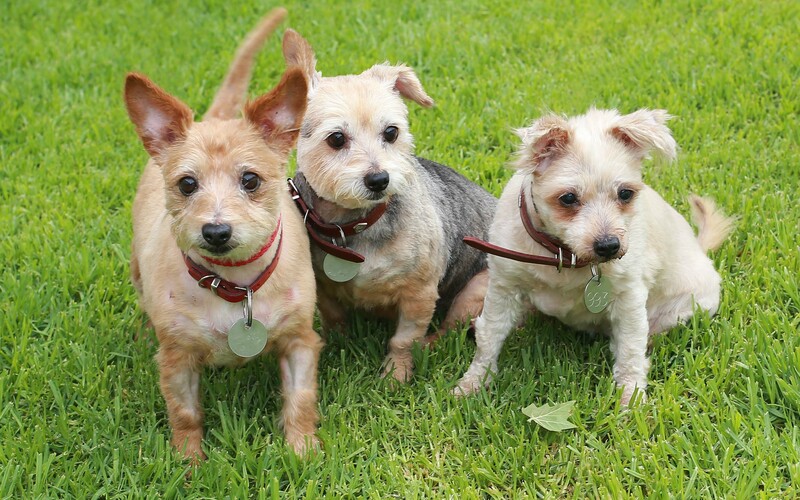 Bonnie, Pooh Bear and Lollie Lou Lou are waiting to meet you at our North Melbourne shelter. Please contact our adoptions centre to learn more about them and their ongoing care.